The interesting and exciting thing about writing historical fiction is the author’s ability to disperse shreds of truth throughout the book. By using some actual characters’ names, real places, and events, the story comes alive and allows the reader’s imagination to envision reality as the tale unfolds. It also permits the reader to inject themselves into the scenes to share the experiences with the characters and, most important, lets the reader escape and become a part of the adventure. In the historical action/adventure novels TOLTEC, CUZCO, and ZENOX, one of the main characters, Elijah Walker, was my great grandfather—a colorful character who had served as a captain in the Confederate cavalry during the Civil War. Born in High Bridge, Kentucky in 1843, Elijah’s family moved to Belmont, Missouri in 1857 and when the war broke out in 1861, he joined the Confederate 8th Missouri Calvary and fought in several skirmishes throughout the western theater. Among the various places where his unit was stationed, Elijah was especially attracted to beautiful Paint Rock Valley in northeast Alabama. After the war, he settled in a small town called Gurleyville (now Gurley) just east of Huntsville, Alabama. Gurleyville was where he lived until his death in 1907. Elijah Walker’s war record and other family information can be found in the Gurley, Alabama website in their “From Our Past” historical series or Googled: Captain Elijah F. Walker. His son, William was my grandfather. 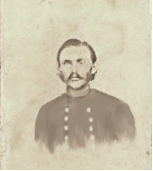 It is also interesting to note, in TOLTEC, Elijah serves in the 7th Alabama Calvary, an actual active Confederate cavalry unit formed in Madison County, Alabama and commanded by Captain Frank B. Gurley, later a good friend and business associate of Elijah Walker and uncle to Elijah’s wife, Matilda Gurley. Elijah Walker served in the Alabama state legislature as Representative for Madison County from 1888-1889. 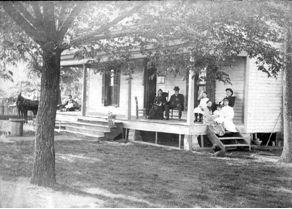 Elijah Walker and wife Matilda Gurley Walker with grandchildren at his Gurley house built in 1872. This photo was taken around 1900. Elijah Walker’s close friend and adventure seeking partner in TOLTEC was Simon Murphy, a character derived from the great grandfather of my good friend, Tom Murphy, originally from Michigan and now resides in Florida. The idea for TOLTEC was hatched from a short parody I wrote pitting our ancestors against one another in a brief Civil War skirmish. Murphy’s wife, Sharron, read the narrative and suggested I write a novel around the event. The rest is history. Charles Murphy, born in County Cork, Ireland in 1840, came to America, through Lower Manhattan with his family in 1845, to escape the famine and disease that ravaged his country. The family settled in Flint, Michigan with promises of cheap and fertile farmland. In 1861, Charles Murphy joined the 2nd Michigan Volunteer Infantry Regiment and served in several Civil War battles, including the second battle of Bull Run, Antietam, and the battles of the Wilderness and Cold Harbor. Sergeant Charles Murphy participated in the siege of Knoxville, Tennessee, which was my home town. After the war, Murphy returned to Flint, Michigan and married Patricia Malloy in 1868, who gave him seven children. Like many Midwesterners during the period, Charles and Patricia farmed the land and raised their family. Several historical figures, mostly political and military, are used in TOLTEC as background characters to enrich the reality of the story. One such figure is the great American detective Allan Pinkerton (1819-1884) who founded the famous private detective agency. One of his accomplishments was the thwarting of an assassination plot against President-elect Abraham Lincoln in February 1861 in Baltimore. Presidents Lincoln and Andrew Johnson, General Ulysses S. Grant, and several of President Lincoln’s cabinet members also appear in several scenes as historical supporting players. 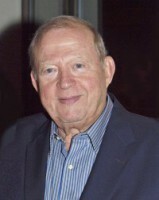 Most of the characters, however, are fictional figures hatched in the mind of this author. Many of the towns and cities are real places—Washington, DC, DeRidder, Louisiana, Georgetown, Grand Cayman Island, Chichen Itza and Coba, Mexico—some are fictional. 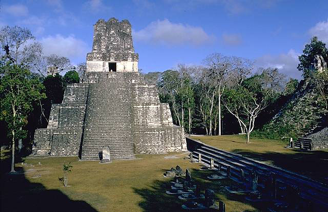 The magnificent Toltec and Mayan temples, pyramids and other structures located in the Yucatan peninsula of Mexico, many which still stand today, are real and display incredible skills of ancient engineering and construction. The Toltec and Mayan builders, who quarried, shaped, moved, and lifted huge blocks of stone to construct their pyramids, accomplished amazing feats that still prevail as one of the world’s great mysteries. The Toltec Indians, the Great Builders as they are called, predated the Aztecs and thrived from around 900-1200 A.D. Their empire once controlled the areas of central Mexico, the Yucatan peninsula, the Gulf Coast, and perhaps as far west as the Pacific Coast of Mexico. A warlike people themselves, the Toltecs were eventually absorbed into the mighty Aztec civilization what was left of the Mayan culture. 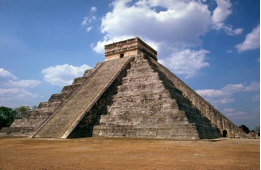 Like so many ancient civilizations, the Toltecs faded into history. Magnificent pyramids of Mexico still stand as a tribute to ancient pre-Columbian engineering skills. Aside from the historical significance of the times, places, and events, I sincerely hope the reader can transport his or her mind back to another time and place and journey along with our characters as they search for lost cities and the incredible hidden treasures of lost civilizations. We hope you enjoy the adventures, journeys, and startling discoveries from the Toltec Series novels. Love the history of your family and the photo’s are great! Loved the history lesson and family background and I look forward to enjoying your book!